Mindfulness has become a hot topic in many forward thinking companies. For a wonderful rundown on the science and practical application of mindfulness at work, Leah Weiss, PhD has written a great book worth a careful read, How We Work. Progressive companies such as Google, Aetna, General Mills, Target and others have initiated mindfulness into their leadership and employee development programs with significant success. Gains in productivity, employee engagement, innovation, communication skills and stress reduction have been noted. It is in the area of stress reduction in the workplace where it appears we may accrue our greatest returns in making mindfulness a part of leadership, management and employee development. It has been estimated stress in the workplace costs U.S. employers between $200-$300 billion per year. Stress is a major contributor to employee turnover, absenteeism, higher medical costs, lower productivity, workers’ compensation expense, lack of creativity and 70% of the US workforce being disengaged. It is difficult to imagine a more important or impactful mission for leaders and managers than getting stress out of their businesses. Where Does Stress in Workers Come From? We must meet the stress monster before we can slay it. Let’s take a look at where most of our stress in the workplace comes from, which will be a surprise to many. Ilya Prigogine won a Nobel Prize in 1977 for his Law of Dissipative Structures. The Law basically showed us what happens to systems the resist change in a changing environment. In short, the systems become so stressed that they fly into a state of chaos and then later reform into a completely different system that is stable (unstressed) and operating at a higher order. This principle is also at work in our businesses. When our business systems/processes resist change in our rapidly changing business environment, they become stressed. As the systems become more and more stressed, they function (produce the results we want) at ever-lower levels. We begin fighting fires—many times the same ones over and over. When things get bad enough and the damage done, change that was vigorously resisted becomes proactive. However, there is an even bigger price to pay for our disinclination to change when change is indicated and required. The stresses in the systems and processes are passed on to the people who must work in those stressed systems and to people who are directly affected by those systems (a poor customer service system transfers stresses to both customer service personnel and to customers). As the systems stresses (physical energy) are passed on to people, the stress energy is transduced to negative emotional energy and thoughts that we identify as stress. 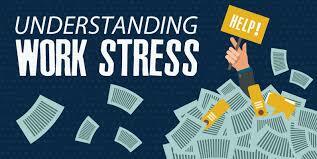 This is not to say that stress in workers comes only from stressed systems in the workplace. In some cases poor, non-systems literate managers and leaders bring stress to workers, too. Employees may also bring stresses from personal life with them into the workplace. We can say, however, that in the vast majority of cases it is poor, change resistant systems/processes that are the main source of stress in workers. It is this transfer of stress dynamic that makes measuring stress in workers a reliable indicator of where an organization will obtain its greatest ROI in doing systems/process optimization (change) work. The relationship between stressed systems and stressed people is an intimate one. It becomes clear that the best way to reduce stress is to cut it off at its source. That means fixing the stressed systems that are passing on that stress to people who have to work in those systems. To learn how to do this quickly and effectively, you may want to read my latest book, The New Agreements For Leaders, paying special attention to the 7 New Agreements Tools that will walk you though the process. But let’s assume management won’t let you optimize the systems and you’re stuck dealing with stress in your job, regardless of the source. While there are proven effective methods to rapidly change (reduce stress in) systems, the focus of this article is the practice of mindfulness as a stress reducer in people in the workplace. There are seven simple steps that have proved effective in creating real time mindfulness and stress reduction at work. Anyone, with a little practice, can master this process quickly and effectively and, in so doing, significantly reduce stress at work. Emotional Triggers – Thoughts and emotions are always connected. In fact, emotional energy gives “value” to thoughts, the more emotion, the stronger the thought, belief or stress. The practical practice of mindfulness at work starts with some sort of an emotional trigger we describe as negative or stressful emotions. In other words, we must pull ourselves into a state of awareness that it is time to jump into our stress reduction practice. Be in the Moment – Life is lived in the moment, not the past or future. Use your awareness to pull yourself into the moment. Breathe – Virtually all mindful practices are connected to the breath in some way. In some teachings the word for breath and life (prana) are synonymous. When we are in fear (stress), our breathing tends to become shallow. We must reverse this and breathe properly. This means taking long, deep, slow, rounded breaths. Start your mindful breathing. Awareness of Thoughts – Become aware of the thoughts that are causing you stress. Without awareness of what the mind is up to in real time, little proactive change in life is possible. Observe – Observe the stressful thoughts. Don’t try to fix or change them, simply observe. The very act of observing something begins to change it. The Optional Thought – Think of something good or a benefit that might accrue to you in some way out of the stressful situation. Make a Proactive Choice – While continuing to breath mindfully, choose either to keep the original stressful thoughts or change to the optional (beneficial) ones. Either choice is fine and a step in the right (less stressful) direction. Simple by making a mindful (aware) choice, the stressful energy will begin to dissipate. However, when you choose the optional thought, stress dissipates faster. While mindfulness programs in the workplace such as meditation, yoga, or movement are wonderful stress reducers, they may be difficult to practice in the moment when stresses are greatest. The Seven Steps outlined herein are designed to practice mindfulness and stress reduction in real time of high stress in the workplace. These seven simple steps work as well at home as they do in the workplace. 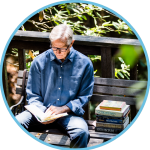 With practice, anyone can become a master of real time mindfulness, stress reduction, and problem solving in stressful systems or relationships at work or home.